Here's just a small sampling of some of the aircraft work we are doing. The refurbishment of the "Pride of the Adirondacks" continues. View of the polished left side as the restoration efforts pause for the winter. Scheduled inspection of a Cessna C-208B Caravan. Restoration of the historic, vintage 1950 Cessna 195 is in progress. Boeing 747 Air Force One replica. 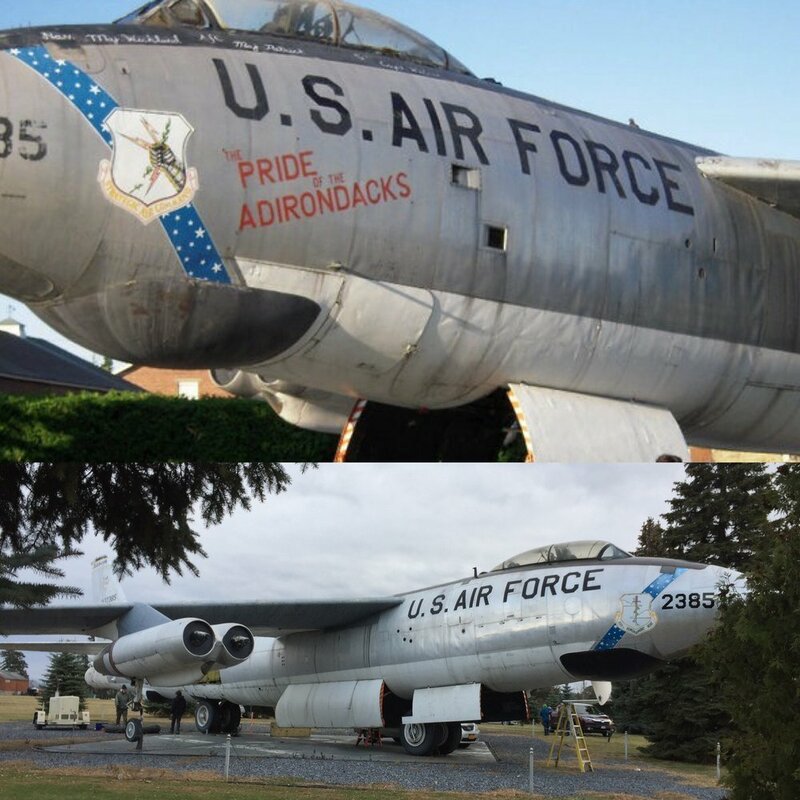 Assisting with the movement of this museum aircraft including removal and reinstallation of the vertical stabilizer. Annual inspection and engine overhaul in progress on this historic aircraft. Maintenance of a PT-6 turboprop engine. On landing gear for the first time in 16 years. Over 650 pound weight reduction. Replica mini FB-111A scale aircraft designed and used for recruiting and display in the 1970s. a complete mechanical restoration and cosmetic repairs.